- 5 x 1.5ml/ 0.05fl.oz. 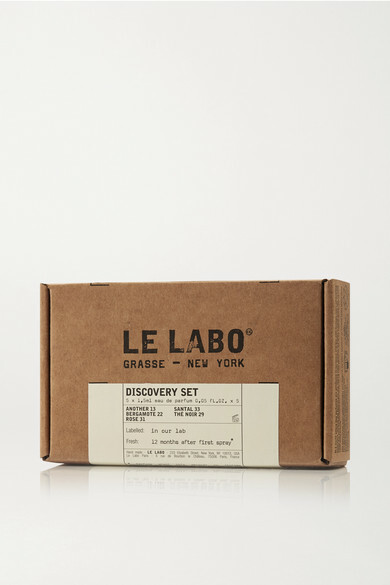 Le Labo's 'Discovery' set contains the label's most popular fragrances including the best-selling 'Rose 31'. Each scent is lovingly crafted – taking as long as two years to formulate – using premium ingredients ranging from Rose Petals and Grass to fresh, clean Bergamot. They're packaged in travel-friendly vials making them perfect for jetsetters.